Every day it seems like we’re hearing about another 3D printed innovation in the world of footwear, from big name brands like Adidas and Nike to the 3D printed shoes that Feetz manufactures and custom insoles by Wiivv. 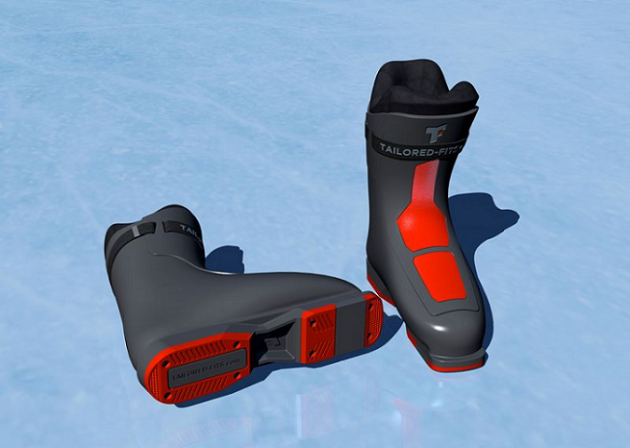 Now, Materialise, the 3D printing solutions and software provider has announced a new partnership with winter sports gear and tailored footwear specialist Tailored Fits AG, which is based out of Switzerland. The footwear startup and Materialise will work together to launch the first end-to-end digital supply chain for custom-fit, 3D printed ski boots. While it won’t be the first 3D printed ski boot, the two companies are really focused on their innovative supply chain process. Materialise and Tailored Fits, which was founded in 2016, spent a year co-creating a solution that’s already letting customers have their feet scanned by the sporting goods retailer partners of Tailored Fits in just ten minutes. Then, making good use of the newly developed process, the customers receive 3D printed insoles, made with FDM 3D printing technology, for different sports, tailored specifically for their feet, in less than ten days.